But Lack Clarity, Direction & Certainty On How To Generate Consistent Profits? Finally, You’ve Landed Upon The ONLY “Accelerated” Trading Education System That’s Already Created 1000’s Of Successful Traders Before You And Can Help You Start Trading Profitably And Consistently – In a Matter Of One Year Or Less! This Trading Education You’re About To Discover Is Risk-FREE with My PERSONAL Education Guarantee! I’ve developed The Warrior PRO Trading System for people like you who are serious about profitable trading. I’ve reviewed more than several years of my successes and failures, and over thousands of traders in our community to carefully identify the techniques and strategies that have proven to generate net profits time after time… even when “pro” traders were busy losing their shirts. Whether you’re brand-new to trading, or you’ve just been trading “by the seat of your pants,” this is the perfect place to start. Here, you’ll gain a sound basis for principles and practices that will give you the best chances for success throughout your trading career. You’ll learn important trading concepts and how to understand the markets easily. If you’ve never traded before, you’ll also benefit from our simple-to-follow instructions for opening a broker account. We’ll also cover setting up and analyzing your charts, making effective watch lists, managing your risk, and much more! This flagship course has become the most popular trading course in our library – and for a good reason. You won’t just learn the essential concepts of day trading… you’ll get the specific details on the trading techniques we use every day to generate profits in our own trading business. You’ll also receive copies of the scanner settings I use every day to search for profitable opportunities, as well as my written strategy outlining my stock checklist, entry requirements, profit targets, exit indicators… nearly everything you need to lose less and win more in the day trading world! Whether you’re a new or experienced trader (part-time or full-time), you’ll find a wealth of in-depth instruction cultivated from decades of real-world experience. The Swing Trading course gives you the flexibility to take advantage of opportunities using different strategies at different times in the market. Because swing trading is slower paced than day trading, you can use this strategy to diversify your portfolio and build flexibility into your overall trading strategy. You’ll learn multiple risk management techniques, and even get to watch a professional swing trader at work to see the principles you learn to put into action. 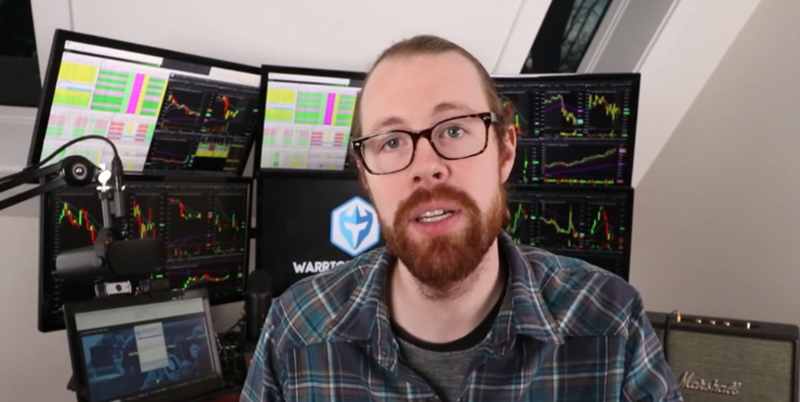 Like many of our students, you’ll undoubtedly find that our Swing Trading course gives you the confidence and knowledge you need to minimize losses by cutting them quickly and to maximize gains by letting profitable stocks run longer!